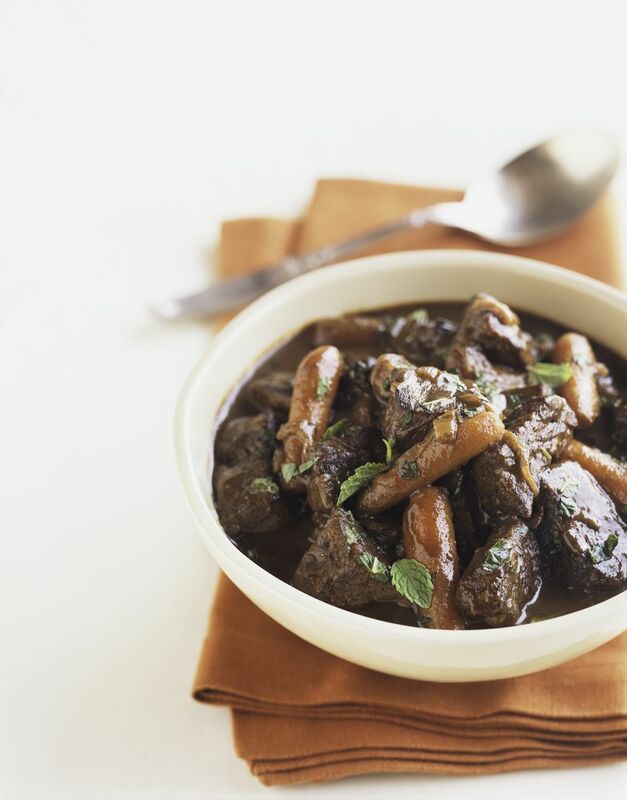 This stovetop beef stew is easy to prepare and has lots of flavors. Serve the stew with crusty rolls or biscuits for a great everyday meal. In a large skillet or sauté pan, heat the oil over medium heat. Add beef; brown the meat well on all sides. Add salt, bay leaf, and thyme, along with the condensed beef broth and 3 cups of the water. Reduce heat and simmer for 1 1/2 hours. Add carrots, potatoes, and onions; simmer for about 30 minutes longer, or until vegetables are tender. Combine cornstarch and remaining 1/4 cup of water in a small bowl or cup; stir until smooth. Stir the cornstarch mixture into the stew. Bring to a boil, stirring constantly. Boil for 1 minute.